Call (802) 681-7356 to make your appointment. Relax. Be Pampered. Stay close to home. Please reschedule or cancel your appointment at least 24 hours in advance to avoid a cancellation fee. Following our appointment cancellation policy gives clients on our wait-list an opportunity to take your appointment. As a thank you to the men and women who have bravely served our country, we offer military discounts for veterans and people currently enlisted. Please let us know before your appointment. 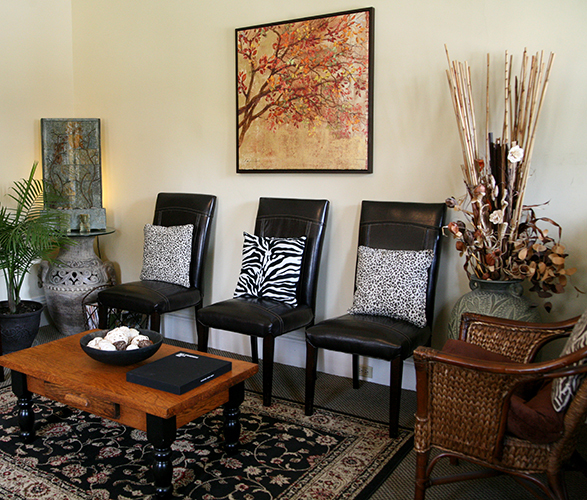 At Studio 210 we have earned our reputation as Bennington’s premier salon and spa by bringing on only the most well trained stylists. The team’s experience and commitment to staying on top of the most current trends will help make you look and feel your best. Trust us, as so many of your neighbors do. We guarantee your satisfaction with our services and products. 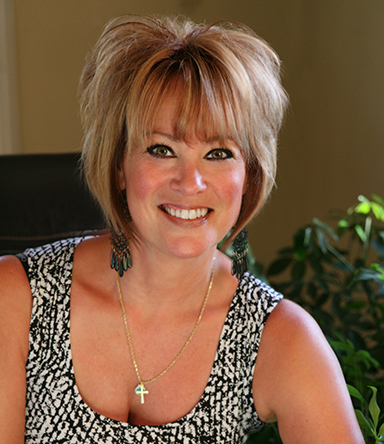 Lori specializes in texturized cuts and vivid colors that give hair extra dimensions. 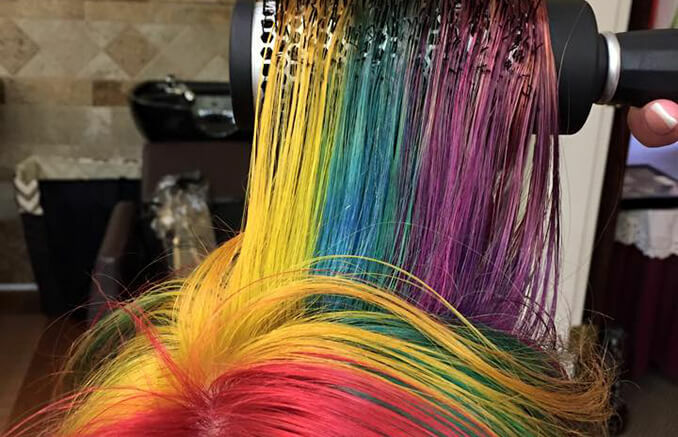 She has spent over 30 years in the industry, keeping herself educated on the latest trends and techniques. She is a Vermont native and an artist who sees joy all around her. Jennifer is a stylist and colorist at Studio 210 and a cosmetology instructor at The Southwest Vermont and Career Development Center. She loves classic styles but is always paying attention to the latest trends. 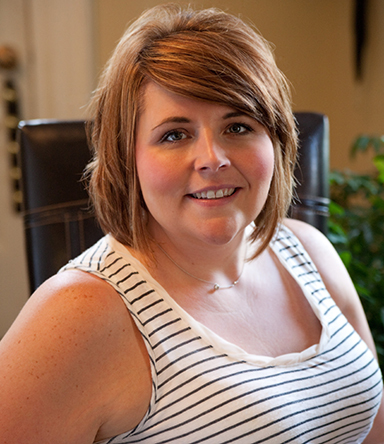 Renee is Studio 210's licensed massage therapist, specializing in Swedish, deep tissue, and sports massage. 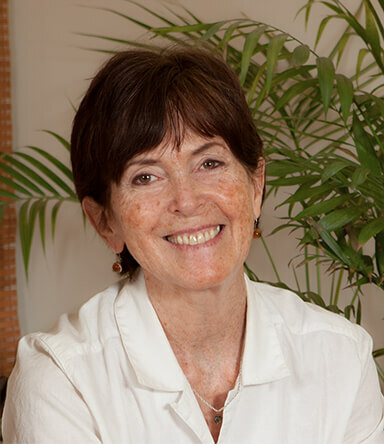 She also partners with the Locks by Lorianne project to help people manage cancer treatment side effects with massage. Four years ago Lori Congdon decided she wouldn’t be able to give her clients the experience they deserved without creating it for them, so she opened Studio 210 in the heart of downtown Bennington. When you walk in you will find a place where you can relax and enjoy where you are in each moment. You will find a tranquil environment where you can stop rushing into the other things you must do. When you leave, you will feel more grounded and relaxed than when you come in. 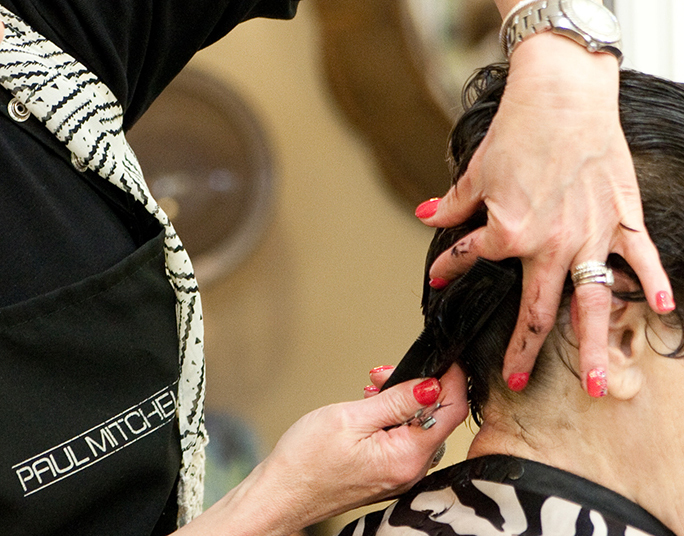 Studio 210 is a dedicated top tier Paul Mitchell salon. The trust the stylists have in the products makes them able to guarantee their results. Educators come in every two to three months to keep the team current on the latest trends, techniques and products. Let Studio 210 help make your wedding everything you hope it will be. You can come to the salon, or we can send a team of stylists to you. We want to hear from you! Please contact us to request an appointment, ask any questions, or just let us know what is on your mind. Studio 210’s owner, Lori Congdon, has partnered with Cancer Center Community Crusaders to form Locks by Lorianne, a wig bank program that provides free wigs to cancer patients who cannot afford to purchase them. Lori has already provided over 160 wigs to women going through cancer treatment free of charge. She cleans, styles, packages, and fits lightly used wigs and, through her partnership with the Cancer Center Community Crusaders will be able to provide new wigs as well. Through this program Lori helps each woman look and feel their best. If you, or a loved one, are going through this experience please call Studio 210 and set up a consultation. Donations of lightly used wigs are appreciated. Every year the Red Cross honors people who are selfless in the way the give themselves to others in their community. Studio 210’s Owner, Lori Congdon, was honored with a 2016 Everyday Heroes Award for her work providing wigs to people being treated for cancer who aren’t able to afford them. In addition to providing free wigs women who need them, Lori leads a free class during which she teaches beauty techniques to help them manage the impact of cancer treatment on their appearance.